Planning a DIY Move? Don't get overwhelmed by the arduous packing tasks. Proper planning, quality materials, and a little organization will go a long way in making your move a success. The size of your home. If you have a large home, it will take longer to organize and pack. The volume of your belongings. Lots of knickknacks, fragile items, or clothing? Your packing duties will take more time than a minimalist's. Your schedule. Work full-time? Have children or other responsibilities? If you have less time in the day to devote to packing, you will need to begin extra early. Before you begin, have a strategy to pack efficiently and swiftly. Since it is a DIY move, it's important to stay organized to keep on task and keep your sanity. Pack one room at a time. Your packing chores once seem larger than life is you focus on just one room at a time. Begin with lesser-used rooms like the dining room, and save everyday essentials like the bathroom items for last. Pack most important to least important. Always pack items that aren't as necessary to your routine first to keep disturbances to daily life minimal. Pack out of-season clothing, knickknacks, and artwork before cookware, toiletries and bedding. Have a packing schedule. Set aside a predetermined amount of time to dedicate to packing each day and try your best to adhere to it. This will make it more difficult to procrastinate and easier to reach your end goal quickly. Make an inventory list. Make a list of each room in your home and the items to be packed. This will help you stay organized and keep track of what you have packed and what still needs to be packed. If you are moving on your own, the less you have to pack up and transport the better. You can save money on supplies, rent a smaller, more affordable moving truck, and spend less time packing if your goods are minimized. Have a garage sale, donate unwanted items to charity, sell them online, or pass them onto friends or family. Although you aren't hiring professional movers, you can still ask for moving help from friends and family. Make sure to consider loved ones' availability before requesting aid, and work around their schedule to plan packing time. 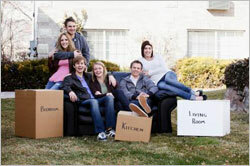 Provide some refreshments, and offer them first dibs on any unwanted items you are eliminating for your move. You may also want to recruit several pairs of strong hands on moving day to help you lug and load your cumbersome furniture onto your moving truck. When packing and transporting your own items, it's important to use sturdy materials to ensure nothing is broken during transit. A DIY move increases your chances of damaged belongings--professional movers know all of the best methods for packing and loading your goods to ensure they arrive unscathed. To best protect your items, you should purchase professional supplies, such as high-quality moving boxes, specialty containers for items such as mirrors and artwork, protective bubble wrap and packing paper. If you choose to go the free route, make sure the boxes are not flimsy and can easily withstand the weight of your items. Boxes from liquor stores, grocers or bookstores cans be effective because they are built to carry heavy stock. Reinforce the bottoms with extra packing tape to prevent collapse. When packing your fragile belongings, take extra time and care to properly wrap each item. 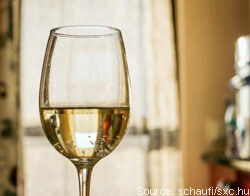 Delicate stemware, china, and valuable electronics can easily break, scratch, or shatter on the moving truck. Pack fragile items early. The last thing you want to do when packing breakables is rush. Pack your fragile items early in the process so you can take your time and avoid hastily tossing things into a box. Use plenty of cushioning. One of the most important tricks to ensuring your belongings arrive intact is keeping them stationary. Proper cushioning will prevent your delicate items from shifting and rattling when the truck is in motion. 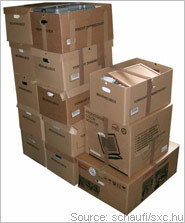 Stuff your boxes with foam packing peanuts or crumpled packing paper to limit movement inside. Use the proper materials. Sturdy moving boxes, bubble wrap, and cell boxes for stemware are essentials when packing fragile items. You may want to cut costs with used moving boxes, but the money you'll spend replacing damaged goods could exceed your savings. Besides packing your items into boxes, you will have to properly protect your furniture to keep it clean and prevent rips during the move. Some pieces, such as beds, glass top tables, and entertainment centers should be disassembled and pieced wrapped individually with bubble wrap. However, plastic bubble wrap should never be place directly on the surface of wood furniture--always cover it with packing paper or furniture blankets first. The plastic can melt or trap moisture that will destroy the wood. Sofas can be wrapped in shrink wrap or furniture blankets--however, just like bubble wrap, plastic shrink wrap cannot be used directly on the surface of wood or leather. Label each and every box with the room and contents immediately after you pack it. The entire process will be much easier and less stressful if know you have packed something already. It will also make unpacking a breeze. Keeping an inventory list of items you have already packed up could be helpful as well-this way you will know if a box doesn't make it to your new location. Don't forget to label your breakables Fragile, and to draw arrows on your boxes indicating which side should be facing upwards at all times. Are you beginning to think a DIY move may not be for you? If you don't have the time and the patience to handle all of the packing, loading, and transporting all on your own, professional movers may be right for you. You can begin comparing free quotes from reliable moving companies today at Movers.com--just fill out our fast and easy quote form! You will receive up to seven FREE, no-obligation estimates from movers near you! How Much Does a DIY Move Cost?